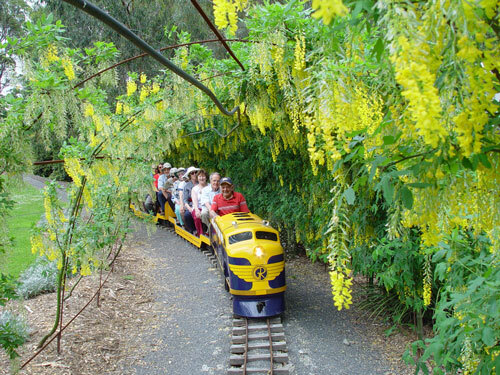 During our development and restoration work on "Como Gardens", it was decided that a railway track and train station would be a most suitable addition to the activities in hand, where the 650 meters of track would flank and not impose on the 6 acres of formal gardens, traverse over three creek trestle bridges, through an extended laburnum arch then back to the "Como Gardens" station, on a 7 1/4" track. 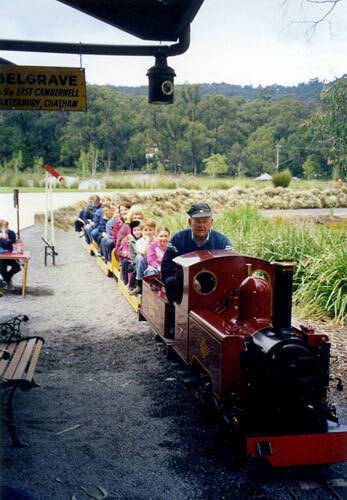 While it was essential that steam power be used for propulsion, we also needed a diesel for entertaining small groups and in addition, each engine needed to be capable of carrying five carriages and a total of 30 passengers. 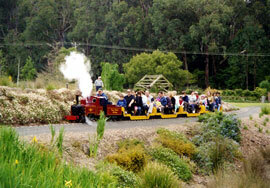 The live steamer more than qualifies with estimates on its capacity to pull 7-8 tonnes. 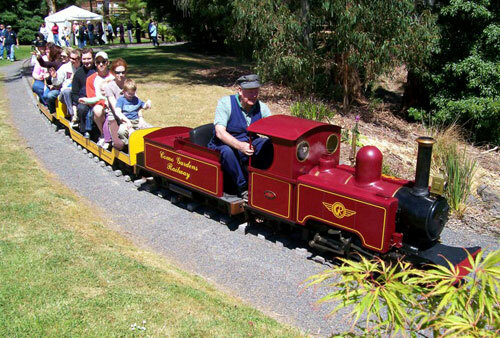 This facet of the visits to "Como Gardens" is a great success, popular to old and young alike and during our Open Garden weekends, we run them both in tandem. 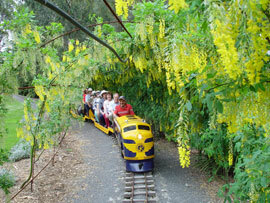 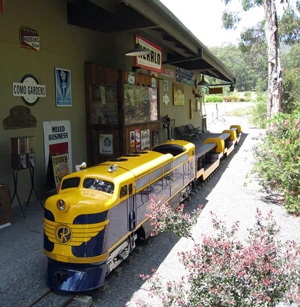 Train rides can be arranged for your future private functions with prior notice. Please contact us and we will ensure that your requirements can be met.